Upset over the hurdles caused by the ban on the release of mega budget ‘Vishwaroopam’, an emotional Kamal Haasan has said Tamil Nadu does not want him to stay in the state and he might seek a “secular” place in the country or overseas. “When M F Hussain can do it, Kamal Haasan will do it… I am fed up. I am an artiste. After that, I will have to seek a secular state for my stay… Secular state from Kashmir to Kerala, excluding Tamil Nadu… Tamil Nadu wants me out,” he said in a choked voice as the fate of the movie is still to be decided in the court. The actor said he had pledged all his property to make the trilingual movie, estimated to have cost around Rs 100 crore. He said he might lose his house because of the losses incurred by the delay in the release of the movie. “…But I believe that along with my Muslim friends, I have been instrument in a political game. I don’t know who is playing and not even hazarding the guess. The fact remains that my history has proven that I have been neither leaning to the left or right but trying to maintain my position,” Haasan said. He said he would wait for the judgement of the Madras High Court where the Tamil Nadu government on Wednesday moved swiftly to file an appeal against the interim relief given by the single judge. “I will learn in another couple of days whether I will be able to find a secular state in India or not. 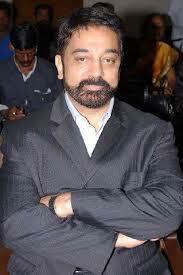 I will find, hopefully, another country which is secular that might take me in,” Haasan said.